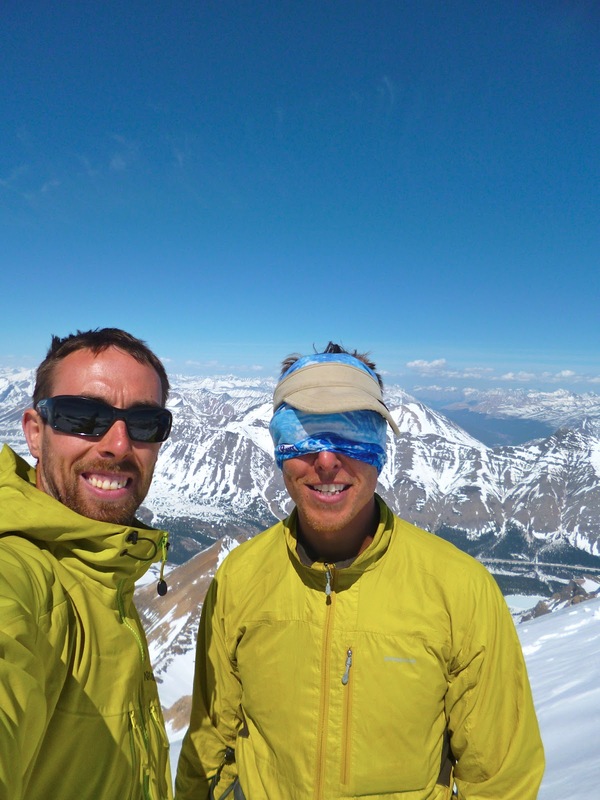 Jesse Peterson and I headed to Athabasca to climb the North ridge of Mt. Athabasca. A later then normal start had us leaving canmore at 5am. This time of year the sun is up early and stays up till late into the evening. Driving the whole way to the ice fields center in daylight was not something any climber is used to. Arriving at the "climber lot" a little after 7am with multiple cars and trucks there already had us thinking we were quite late! 2 hours of glacier travel and a small slope brought us to the col of Mt. Athabasca and Boundary peak. Here starts the fun, Rock ridge climbing snow slope slogging (it was a tad early in the season). Brought us to what i would call the crux pitch. A 30m Corner with a squeeze chimney at the top. 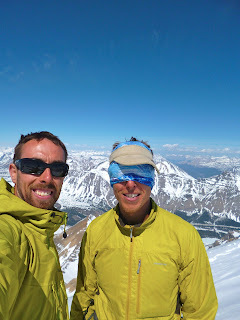 just a lot of fun climbing on a great alpine ridge. Getting to the top of course is great. An 11,000ft peak. Sun, calm and a good partner for the days objective. 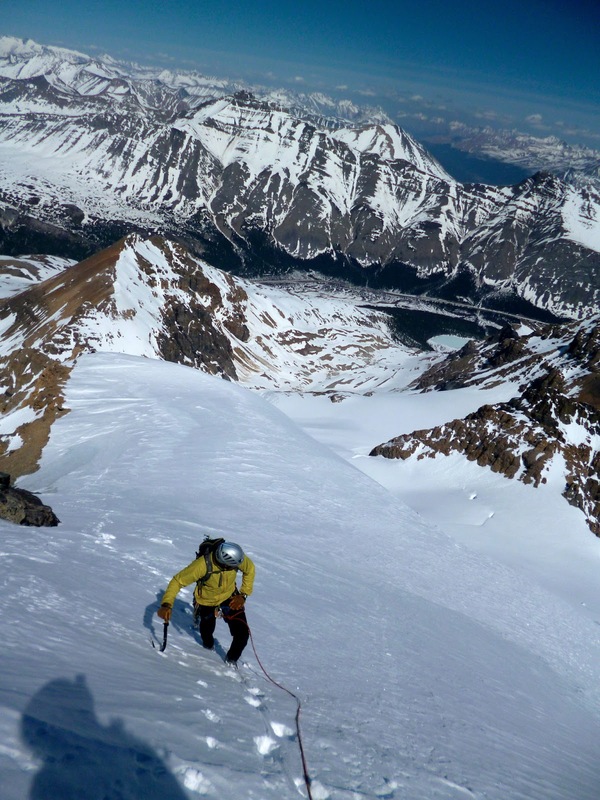 seeing as it was a later then expected start we choose to head down the "AA" col. ( Athabasca andromeda ) We decided to rappel the first section of the col slope to see how the snow was reacting to the strong spring sun. It was excellent and provided a long, steep but safe bum slide all the way to the glacier below. Mt Athabasca. The North Ridge takes the left hand skyline to the top. Jesse climbing some typical rock sections along the ridge. Some snow slopes below the summit. Besides the color coordination, This is what happens when your sunglasses are WAY to light and in a glacier/snow style route all day. His eyes were pretty fried by the top.